Snow is falling on ski resorts across Europe, and preparations for opening days are nearly completed for another fun-filled ski season. So if you’re one of those who prefers to layer up and hit the slopes, than layer down and take a load off, then it’s time to pack your bags, dust off the salopettes and get your milk run out of the way with! 39 countries across Europe have active ski resorts, so there’s certainly a lot of choice. 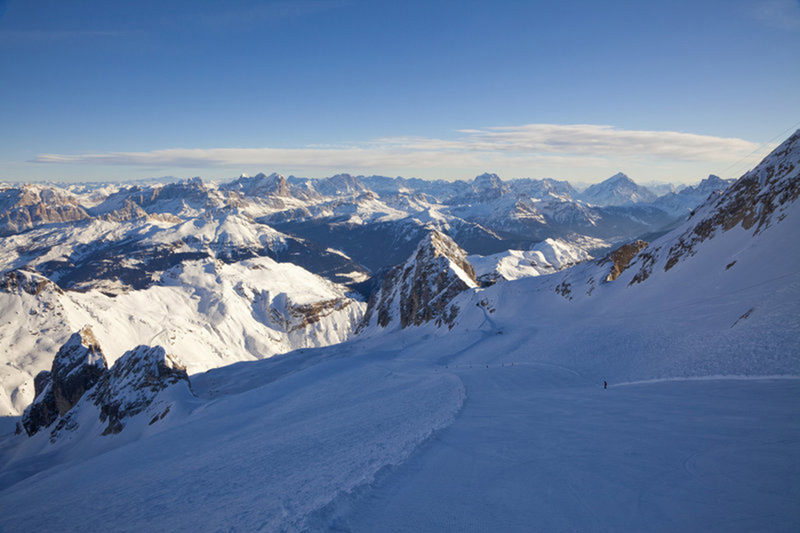 But the Alps are undoubtedly the best place to go in search of the perfect run and fresh powder, and with 18 glacial ski areas to choose from, the ski season can be stretched into the summer months too! So with your mind set on visiting Europe for your next ski break, here are 5 of the best resorts you can explore. Part of the Dolomiti Superski Area, the biggest ski area in Italy by total length of slopes, you can purchase a Superski lift pass which gives you access to the 1,200km of pistes waiting to be discovered. Not only does it provide endless slopes, but also amazing views. In 2009, the Dolomites were awarded with a UNESCO World Heritage Award which pays homage to their beauty and might. You might also recognise the resort if you’ve seen The Pink Panther (1986), For Your Eyes Only (1981) or Cliffhanger (1993); all three films had at least one scene filmed on the resort. Sylvester Stallone plays the role of a mountain guide in the latter, and the film itself is in the Guinness Book of World Records for the ‘costliest aerial stunt ever performed,’ where a stuntman was paid $1mil to perform the aerial transfer scene. Make sure you give it a watch if you haven’t already seen it! The skiing itself is split in to 3 ski areas, Cortina Cube (Cristallo, Falonia and Mietres), Tofana and Lagazoui/5 Torri. These ski areas provide 85km of slopes to explore, and are all connected by free bus – which is especially handy if your weary legs are too tired to traverse back to your hotel after a long day’s skiing. The snow making facilities provide excellent snow conditions November – April. One of the closest airports to the resort is Venice (VCE), an hour and 50 minute drive away. Here, you’ll have a choice of 2 lounges to visit if you’re a Priority Pass Member. The Exact Change Business Centre is located before security and passport control, and the Marco Polo Club is after security, located on the 2nd floor. You can freshen up using the shower facilities, recharge yourself with refreshments and stay connected with Wi-Fi. Arguably the most impressive ski area in the world, les 3 vallées links 8 resorts (eleven sub-resorts) claiming roughly 600km of ski slopes (the equivalent of 14.22 New York Marathons!) 85% of the slopes are above 1800m, which means an excellent chance of fresh snow – perfect for all you powder hounds! Within the resort, there are 6 different villages, all at different heights (and price ranges!) 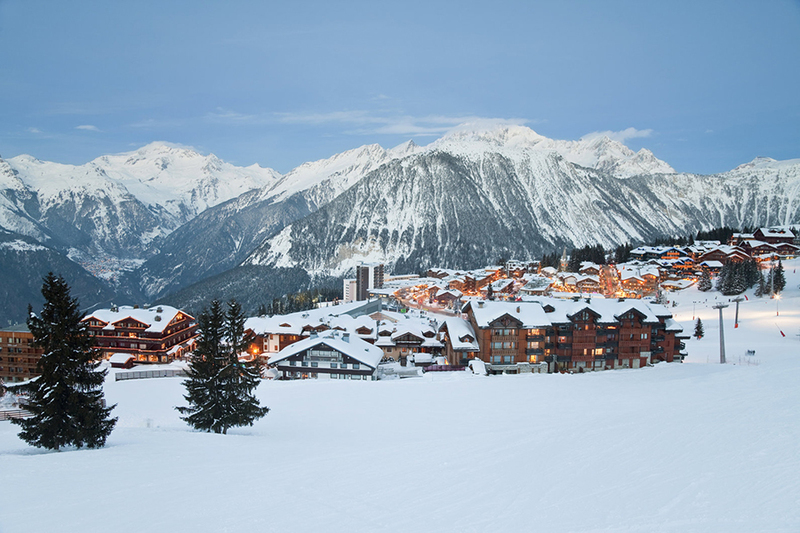 Saint Bon is the birthplace of Courchevel, this is the site of the resort’s first hotel, built in 1908! Le Praz is home to France’s only Olympic Ski Jump, La Tania is a forest-based, traffic free village, Courchevel Valley is the finish line of the 2.5km toboggan run, perfect for some fun while taking the weight off your feet. Courchevel Moriond is the ideal place for families due to the easy green and blue runs which wind their way there, and Courchevel 1850 is the luxurious home to Michelin Star Restaurants and Designer Fashion Shops. For activities outside of skiing and snowboarding, Courchevel has a lot on offer. You can visit the Aquamotion Centre, which is Europe’s largest mountain based aqua-fun centre, based in Courchevel Village. Make the most of a 25m swimming pool, indoor and outdoor lagoons, a five-lane racing waterslide, diving pool, baby pool and aqua-wellness and spa facilities - perfect for a day to recover from the slopes. There are many ways you can consider to traveling Courchevel. Whether you travel to London and take the Eurostar to Moutiers train station, or if you decide you’d rather fly, Geneva (GVA), Lyon (LYS), Chambery (CMF) or Grenoble (GNB) airports are all within a reasonable distance. Courchevel does have its own airport (CVF), but it’s not for the faint-hearted. The runway is a mere 537m long, and includes a steep gradient (18.6%) with no go-around procedure, highlighting the importance of getting it right first time! Part of the wider Espace Killy ski area, Val d’Isere is a hub where you’re able to access over 300km of ski area (22 Green, 25 Blue, 46 Red and 61 Black runs). There’s also 44km of cross-country skiing available, and 2 terrain parks for those of you who like to push the limits. You can even ski in the summer, as the resort is set on the Pisaillas glacier, which allows skiing from June until mid-July. It’s also home to one of the most well-known slopes in Europe, La Face de Bellevarde - an unrelenting black run which lasts just under 3km, and has 959m in vertical descent! Starting at 2,908m, La Face is a towering scene from the valley below, with gradients from 5% to a whopping 71% - only for the competent skiiers! Ever fancied a go ice driving? Val d’Isere is home to the BMW Ice Driving School. Situated at 1850m, you can hop in a car and be taken on a thrilling ride, then have a go for yourself (with tuition) - certainly an experience of a lifetime. If you prefer to take things a little slower, the Centre Aquasportif has Beach World, Spa World, Sports World and Well-Being World to keep you occupied, and provide a different kind of après. 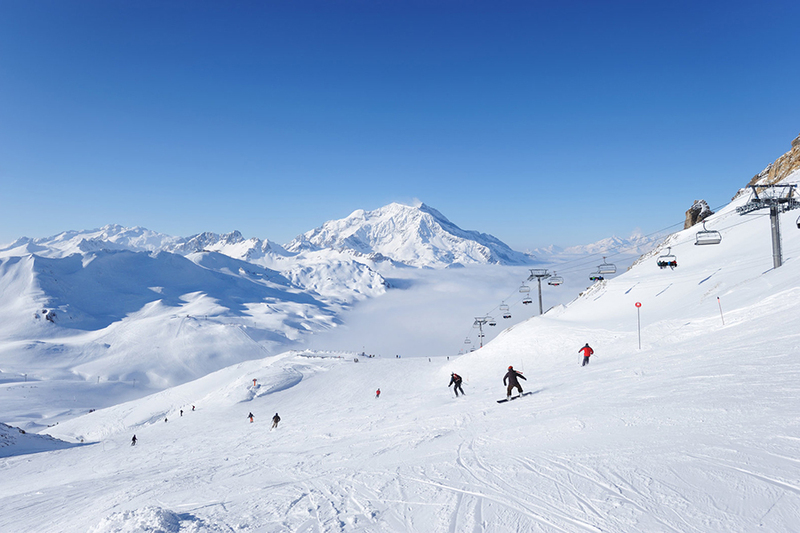 The closest major airport to Val d’Isere is Geneva International (GVA), which is around a 2 hour 40 minute transfer time. The drive from the airport to the resort is amazing, as you pass through beautiful alpine towns such as Annecy and Aix-les-Bains. For your way home, Geneva Airport has 3 Priority Pass lounges on offer. Air France – KLM Lounge is airside in Terminal 1, and open for flights departing from the French Sector only. The Dnata Skyview Lounge is open in Terminal 1 from 06:00 – 20:30, and the Horizon Lounge airside on the Mezzanine level is open 06:00 – 21:30 daily. Set within the Austrian Alps, its 270km of slopes means that it’s one of the largest ski areas in Austria. There are 140km of blue runs, 112km of red and 18km of black, meaning the resort is suitable for all ages and levels. There are 70 lifts to transport you to the far corners of the resort, enabling you to experience all it has to offer. There are 5 snowparks, each different in level, so whether you’re a park rat, or just beginning to dip your toes into the world of freestyle, this is one of the best resorts for you. If you want to experience snow from a different perspective, then the 3 toboggan runs on offer are certain to bring you more excitement, all while still making the most of your lift pass. As the ski area is so vast, you’ll be pleased to know that there are 60+ ski huts where you’ll be able to grab a bite to eat, have a drink and take in the spectacular views of the slopes. You’re never that far away from the next ski hut, so don’t be too alarmed if nature calls mid-lift! 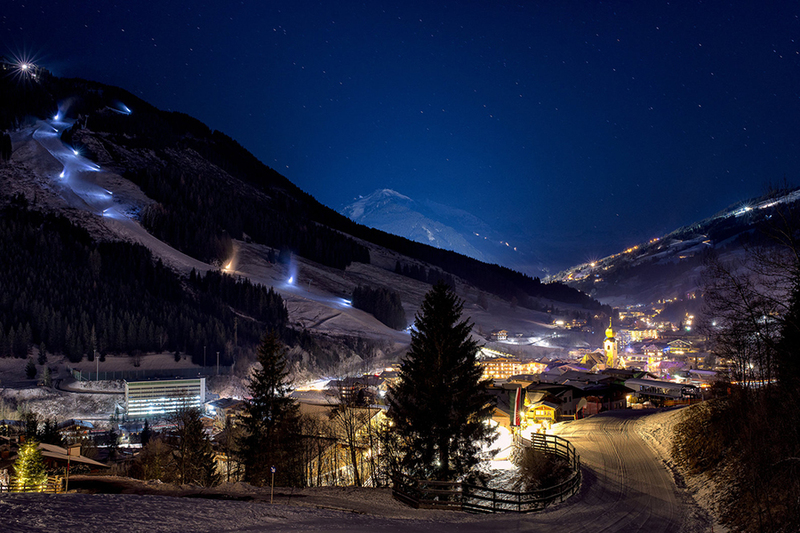 If you’re travelling to Saalbach-Hinterglemm, the closest airport is Salzberg (SZG). A short hour and 20 minute transfer, it’s in a prime location if you’re eager to get going from the moment you arrive. And on your way home, Priority Pass Members can visit the Salzburg Airport Business Lounge in Terminal 1. Here you will be greeted with confortable seating with stylish décor to enjoy while you help yourself to food and refreshments pre-flight. A great place to end a fantastic trip! 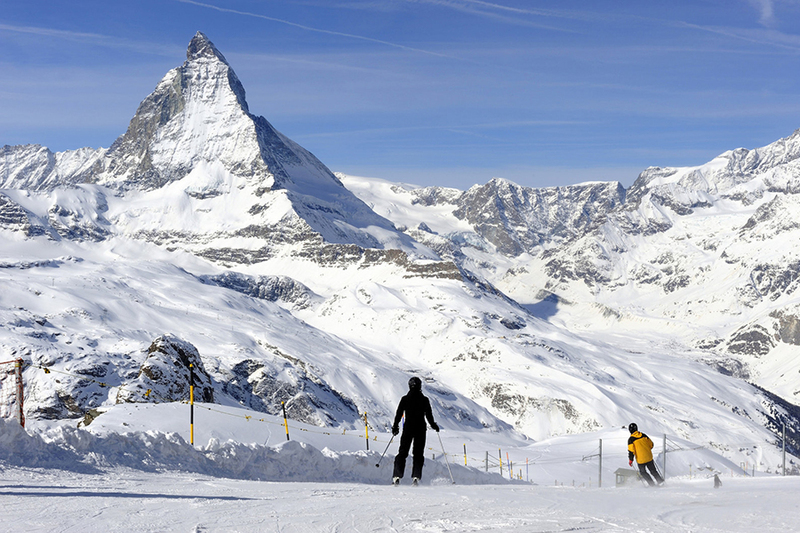 Zermatt is Switzerland’s highest resort (3883m), and is part of the Matterhorn ski paradise which stretches from the Rothorn and through Gornergrat and Schwarzee. Within this area, you’ll find 9 different ski schools, so if you need to sharpen up your carving, you’re in the right place. A massive pro of this mountain area is the fact that it’s sun drenched, so you’re sure to come back with a nice tan if you go during the right time. An excellent location if you’re travelling with family, Zermatt has been awarded the “Families are Welcome” seal of quality since 2013. Their mascot ‘Wolli’ is on hand to go the extra mile to make the vacation one to remember for everyone. The ‘Wolli Card’ is presented to children up to the age of 9. These cards are valid for a year, and entitle your children to free travel on mountain lifts, free overnight stays in selected resort hotels and apartments, no holiday tax to pay, plus many more perks. For those skiiers who love a long run to really get those turns in, the longest run here is Matterhorn Glacier Paradise – Zermatt and is a cool 25km long, top to bottom! We’d absolutely advise stopping at regular intervals, just simply to stand back and enjoy the views. If you’re flying in to the area, Bern (BRN) would be a great choice. 78 miles from the resort, Bern airport is a contender for cheap flights, although it is still over a 2 hour transfer time. Priority Pass has the Skylounge available to Members from 06:00 – 21:00 daily. Register at the Information Desk then make your way to the lounge for an escape from the departure hall.